« IGNORING THE ECONOMIST and going for a PhD anyway…. America is no longer a democracy. It is now a tyranny of the heavily armed. That is Barbara Ehrenreich’s claim in today’s Los Angeles Times. Along with her colleague Frances Fox Piven, Ehrenreich is an Honorary Chair of the Democratic Socialists of America. In today’s Op-Ed, Ehrenreich does her best to pretty up Piven’s call for rioting in America, while painting conservatives as gun-mad assassins. I sense that the left is now running scared. The Nation erred in allowing Piven to call openly in its name for rioting in America. They’re likely even more worried now about damage to the Nation’s reputation than they are determined to silence conservatives. But at this point, they probably figure the best defense is an aggressive offense. Ehrenreich’s wild Op-Ed is the result. Here you will read what the Nation crowd really thinks of America. Meh. It’s not like the “bitter clinger” line is anything new. The trouble is, these folks liked the idea of a dictatorship of the proletariat, so long as it wasn’t actually, you know, proletarian. ‘Cause those proles are just icky. Hooded protesters. Molotov cocktails. Three dead by fire, four hospitalized. This is Piven’s idea of a proper “people’s movement.” This is the kind of violence she was advocating. This is what she’d like to see happening in America, to Americans. And this is what her allies are trying to minimize, or distract attention from, by making false accusations aimed at innocent parties. Just for the record. Just a quick thought on your Piven updates. The phrase “Hooded protesters. Molotov cocktails” made me initially think “that is doubly despicable, Priven & Ehrenreich are also Klan supporters”? They don’t have a problem with the Klan’s choice of means, anyway. And reader George Wilson emails: “The ‘tyranny’ is the fear that a molotov cocktail might not be a match for Desert Eagle .50 or an AK-47.” Yes, there’s nothing more tyrannical than someone who refuses to be intimidated. ANOTHER UPDATE: Reader Scot Echols writes: “So let me see if I’ve got this right. 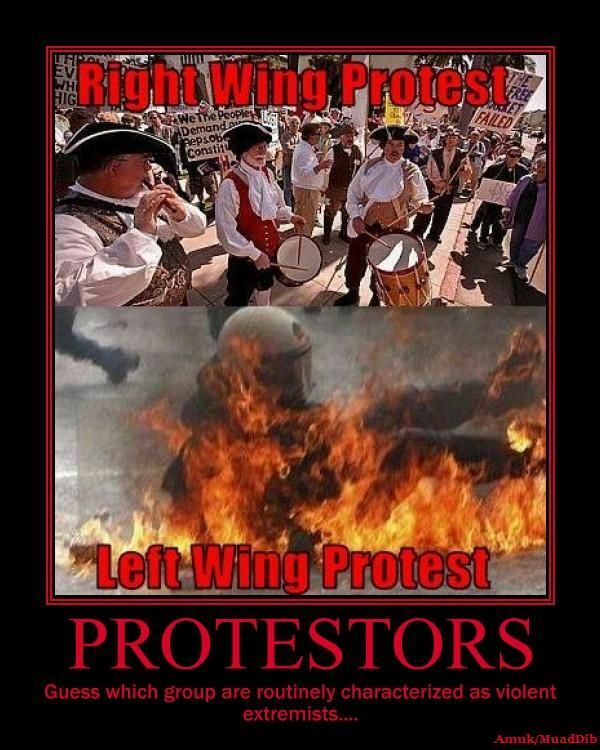 Is Piven pissed off that the Tea Party protests weren’t violent?” I’m pretty sure that’s not it, but that’s an understandable mistake . . .